BlueFire Wilderness is a program designed to help struggling teens by taking them on a journey to discover and understand their core fears, beliefs, dreams, and desires. It is aimed towards adolescents from all over the country who have developed poor coping skills for the struggles they are facing, and need guidance and support to reevaluate their lives. Even though some teens from Colorado might be apprehensive about being in an unfamiliar outdoors environment for an extended period of time, BlueFires highly skilled team is prepared for this normal response, and knows how to help your teen adjust to their new conditions. Wilderness programs help teens from Colorado by removing the everyday distractions theyve become accustomed to, such as social media, video games, television, and pressures from school and peer groups. Wilderness programs give Colorado teens a set of challenges and goals to accomplish within a natural, adventure setting. Groups choose their itinerary for multi-day treks into the wilderness and are responsible for planning their excursions. This gives them a chance to see and cope with the result of their choices on the field, and provides an opportunity to learn essential values like teamwork, communication, and self-sufficiency. 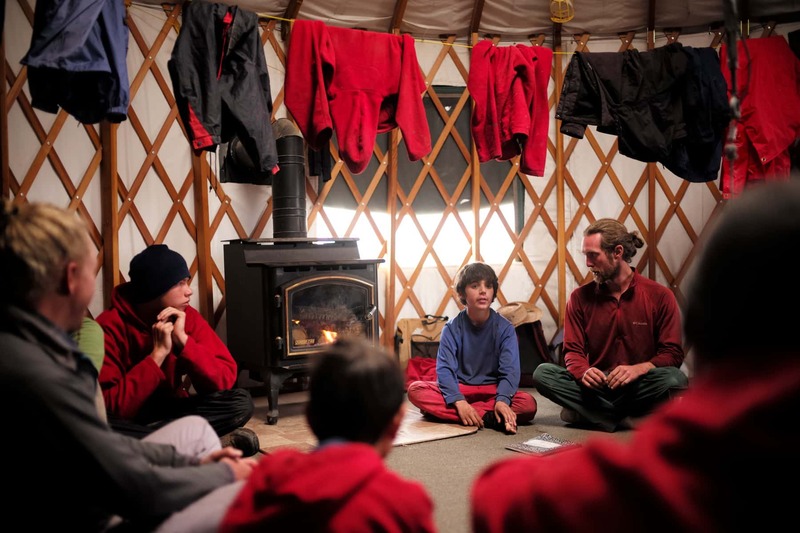 BlueFire offers a unique program that couples wilderness programs with weekly personal, group, and family therapy, with a strong focus on rebuilding a strong, healthy connection between children and their families. By focusing on the family unit, BlueFires program is designed to encourage long-lasting change in family dynamics so that Colorado teens can more easily transfer skills and insights learned during the program into their everyday lives back home. BlueFire Wilderness Therapy is one of the most unique wilderness programs for Colorado teens. It aims to help Colorado teens struggling with a variety of issues and situations, such as substance abuse, anxiety, depression, problems within the home, and many others. As one of the leading wilderness programs for Colorado teens, BlueFire believes removing teens from their normal environment is essential to a real examination of life choices and paths without the everyday influences theyve become accustomed to. BlueFire offers a range of activities aimed at helping teens from Colorado become more self-aware and self-sufficient. We combine adventure therapy with more traditional forms of one-to-one counseling and family-oriented therapy sessions via video conference. Therapists are on the field with the adolescents 4 days a week to ensure continued support and guidance. Even though BlueFire Wilderness is not situated in Colorado, the program is designed for teenagers from anywhere in the country, and is equipped to help them cope with being far from home. An out-of-state experience is a great way to help Colorado teens focus on the issues they are facing without distractions from peers, social media, and situations that may be contributing to their problems. 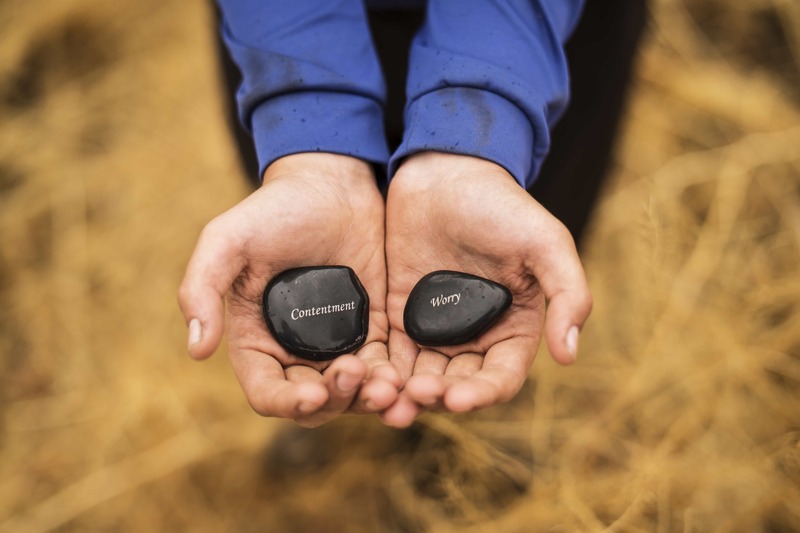 Wilderness programs for Colorado teens are an immersive experience which will challenge and inspire teenagers from Colorado to grow and take steps towards better mental and emotional health. 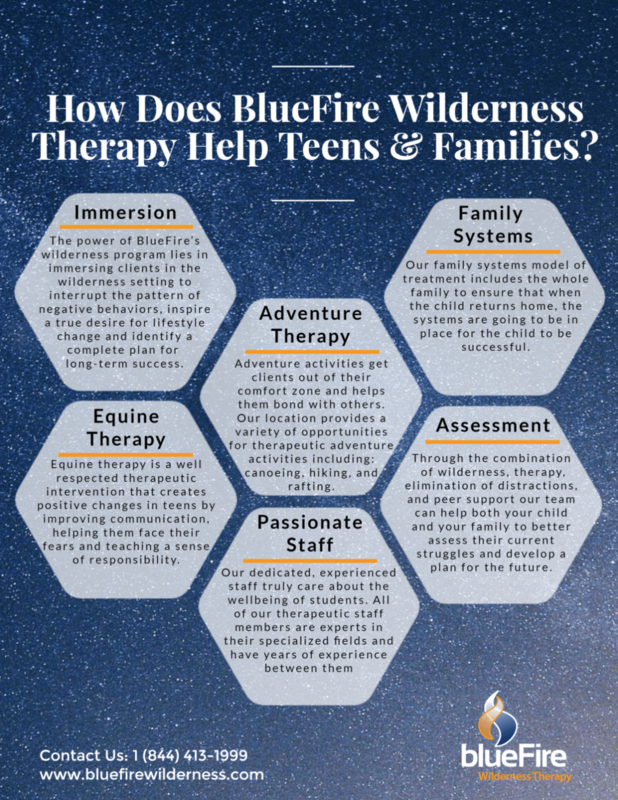 To learn more about how BlueFire Wilderness can help your Colorado teen, call us at 1 (844) 413-1999 today! Headspace : An Australian site that is a great resource both for parents and teens that want to know more about mental health issues and general problems concerning family life, relationships, school, and transitioning into adulthood. Kelty Mental Health Resource Center : Kelty is a mental health center providing a wealth of information on the topic of mental health and substance abuse aimed at teenagers and their families. The centers site also provides an overview of medications used to treat different problems, tips on healthier living, and resources on treatment options available for families.